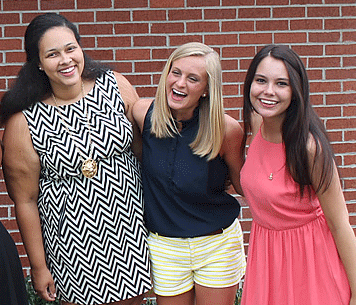 Sororities are a great way to build lasting friendships and help the community. At some point sorority fundraisers are needed to help raise funds for charities, house maintenance, and events among other things. Giving Bean is the perfect for sorority fundraisers. With no startup costs, step by step instructions, online support, and fast shipping Giving Bean is an easy and effective fundraiser. Not to mention that we are the same old fundraiser with products that people don’t really want. With freshly roasted coffee, unique artisan teas, and gourmet all natural cocoa and chai, our products are hard to resist. Since most people drink coffee or tea daily our products are also easy to sell. With the traditional paper order form coffee fundraiser you will make 40% as well as 25% from online sales. Online sales are a great way to reach people who would like to support your fundraiser but don’t live nearby. Participation is key for any fundraiser. Assigning each sorority member a certain number of products to sell will help you easily reach your goals.